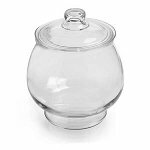 The 2.5 Gallon Barrel Jar with Aluminum Lid is the perfect containers for storing all of your candy products, dog treats, and bulk spices plus more. 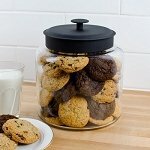 The wonderful unique design of this glass container will stand out above the crowd and potentially increase your sales all at the same time. 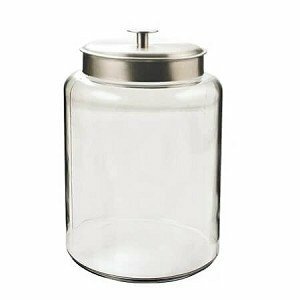 Place these barrel style jars on the kitchen counter, on your shelving in the break room, or the table top and save display space. 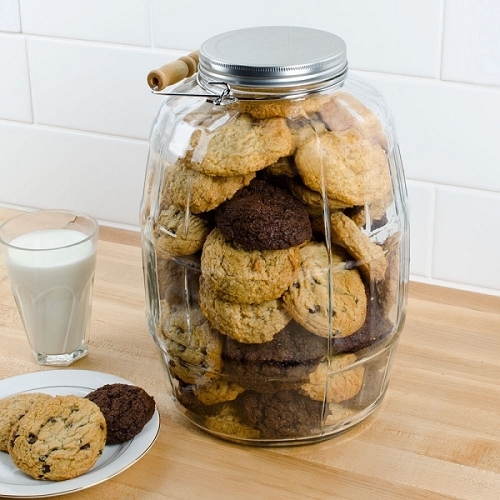 These are the best containers for storing candies, peanuts, cookies and other snack foods. Mix and match with other sizes for an eye-catching exhibit for candy buffets, family gatherings or your next birthday party. Add a little style to your store. 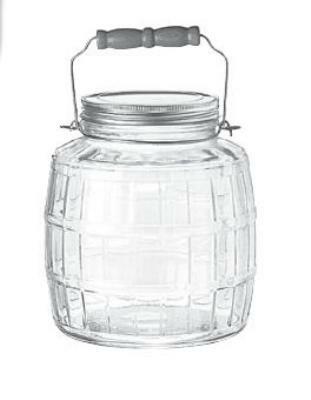 Order your clear glass jars with us today and save yourself time and money!